Marketing your small business is no easy feat. 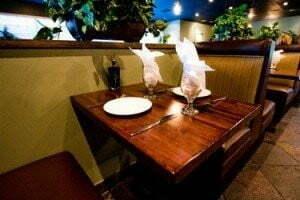 There are so many ways to market your restaurant, ones that can be costly and ones that can be economically friendly. It’s safe to assume everyone has had the experience of enjoying a pleasant meal in a restaurant. It’s also safe to assume most of us have also had at least one bad experience in a restaurant. If you haven’t experienced using social media, this will be one of your most important marketing areas when it comes to marketing your restaurant. The use of social media like Facebook.com, Yelp.com, Pinterest.com, and even the newest Instagram.com, are all platforms your customers will share good and bad experiences. The marketplace has never experienced something like this ever. This can be a very good source of free marketing and at the same time it can be detrimental to your small business as well. So making the dining experience a memorable one is so important. I know for myself, before I eat anywhere I always Yelp the restaurant to see their reviews and the pictures of their dishes. The younger generation for sure is using social media as a way to share and read reviews about where they dine. Be aware of what your customers are saying about your business, read the reviews and of course improve on what is negative and overachieve on the areas what your customers are praising. Are you marketing to your past customers? If you don’t have a database or record of all your past customers then you should start that immediately. Several ways to get your customers contact info is by creating a fan page on Facebook.com, and you can post special discounted meals or maybe a free dessert. If your restaurant is located in an area with a lot of business lunch traffic you might want to consider doing a drawing once a week for a free lunch. If the customers want to be included in the drawing they must leave behind a business card. Something as simple as that will start the database and from there you can do email campaigns about special promotions. Need a restaurant equipment loan? Get feedback from your other business owners on what they are experiencing and what they feel the clientele demand is. Even other dining establishments might be willing to do some combined dining deals with their establishment and yours. For example, if you have a sandwich shop and they own a frozen yogurt shop, you might want to do some type of combined discount to cross-promote each other’s businesses. Yes you can always use social media to see what other local restaurants are doing, but you can’t taste or smell the food. You always want to get the experience, and see what the ambiance is like in other establishments. Listen to what others are saying and read the reviews and what customers are complementing about on other restaurants. Try to blend some of those same things within your own place of business. Your local schools, churches, and even clubs are always looking for sponsors. This is a great way to support your community and get your name out. I recently attended a local elementary carnival and came across several sponsors that were promoting their business by having a booth with their cupcakes and desserts. Out of all the booths there, they had the longest line waiting for their samples. What a great way to get your name out and to let the community experience what your desserts are all about! Interested in restaurant equipment financing? Call us today at 888-825-1669 to speak with our experts about financing programs! ← How Is Your Daily Time Managed?